Once solely reserved for law enforcement, the Dashboard Camera, or Dash Cam has become increasingly popular with ordinary drivers over the last couple of years. 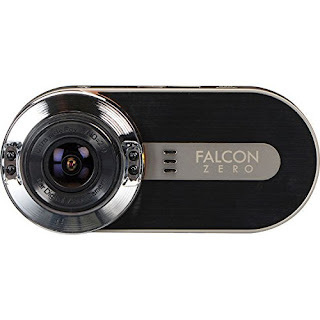 As they become more affordable, with better picture and sound quality as well as additional features like GPS and recording even when the vehicle is turned off, we think every driver shouldn't be without a Dash Cam in their car. Here are 6 reasons why. What is a Dash Camera? 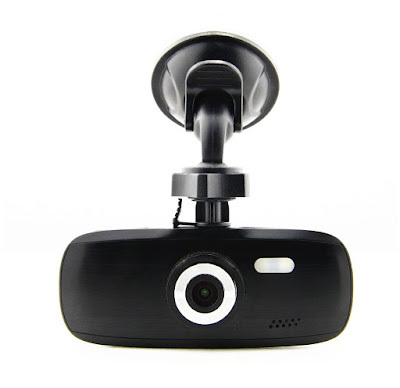 A Dashboard Camera, also known as a Car Camera, is an onboard camera that records continuously through the windscreen. These cameras are usually attached to the interior windscreen or top of the dashboard and are secured either by a suction cup or adhesive tape. There are many different types of Dash Cams. The basic dashboard camera models just records the surroundings in front of the car and nothing more. On the other hand, more advanced dash cams allow for both front and rear view recording (dual car dash camera), GPS logging, date/time stamp and more. Probably the main reason why dashboard cameras are gaining popularity is because they provide clear, unbiased proof of what actually took place in an accident. No more worries of the other party changing their story when the cops arrive or the case turning into a "he-said, she said" if the case goes to trial. In most accident cases, the vehicle in front doesn't get blamed for getting "rear-ended". As we see in the video above, the pick-up in front is clearly at fault for reversing into the car behind. What makes it worse was the two guys getting out of the truck, angry and aggressive, looking like they were ready for a fight. They even had the gall to blame the driver of the car behind and took photographs of his license plate. Lucky for the driver of the car, he had this dash cam footage, to make sure he is able to claim compensation and that the truck drivers won't get a single dime from! Nowadays there are some pretty horrible people who purposely cause an accident and then blame the other party in order to extort money from the victim or the victim's insurance company. According to data gathered for Insurance.com, a single claim for less than $1,000 where you are at-fault, will raise your premium by about 18%. Not only that, it goes on your record. But if you are able to show that the driver was at fault, then the accident will go on the other driver's record. It's not just other unscrupulous drivers who are out to scam. There are even some pedestrians who are willing to take a hit, get a few broken bones and try to extort money out of the innocent driver victims as well as get a big payout from the insurance companies. In the video above, both the pedestrian and witnesses claimed that stationary car was at fault and the police actually believed them. Luckily, the driver had this video from his dashboard camera to submit to the police as evidence, which helped him to win the case. According to Statista, nearly 53% of American drivers have been on the receiving end of a rude gesture, while 13% of them have even felt physically threatened. As cities become ever more crowded and congested, it seems like our encounters with bad drivers are becoming increasingly frequent. Not only are these bad drivers annoying, they can be dangerous too. While there are many avenues, from government agencies to sites like zapatag.com where you can report these drunk, distracted, dangerous and angry drivers, they require proof before any action can be taken. This is where the evidence from your dashboard camera comes in handy, allowing you to protect not only yourself, but also your family and community at large. In this video from Sydney, Australia, a driver sideswipes the vehicle next to his in an apparent road-rage incident. Using his vehicle as a weapon - this guy shouldn't be on the roads and deserves to have his license revoked! Just because your vehicle is parked in the garage or parking lot doesn't mean it's safe. Not only do you need to worry about lousy drivers scraping the side of your car when they park or move out from the lot next to yours, there's also the very serious threat of vandals. 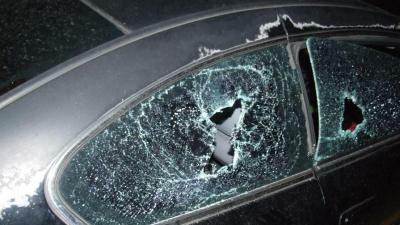 Scratched paintwork, broken side-view mirrors, smashed windows and slashed tires are some of the most common acts of automotive vandalism. Sure, you take excellent care when driving your vehicle, but others who drive it may not. Do you know what really happens when you drop your car off at the mechanic or valet? What about when you lend your kids the keys for a day? With a dual-car camera, you can record what's happening inside the car as well as outside. It would probably explain the mysterious ketchup stains after you asked the valet to park your car. Some of the newer dash cams even have an in-built GPS, which records your vehicle's co-ordinates as well as other data like date/time stamps, driving speeds and even sensors to determine how smooth the drive is. Plug the data in to Google Maps and you can see tour driving route history in an easy to use format. It's not all doom and gloom with dashboard cameras. There are also many happy moments that you can capture on them. Capturing your entire road trip on the camera and then editing the footage to a short highlight reel for memories is something that's very popular. With the dashboard camera always on, you can end up capturing some pretty unexpected moments as well - like the meteor captured on dash cam over Tauranga, New Zealand. It should be compulsory for all drivers to get fully trained in using the available resources for ensuring safety before becoming a trucker, as it will help them in overcoming hardships and challenges while covering long distance journeys.